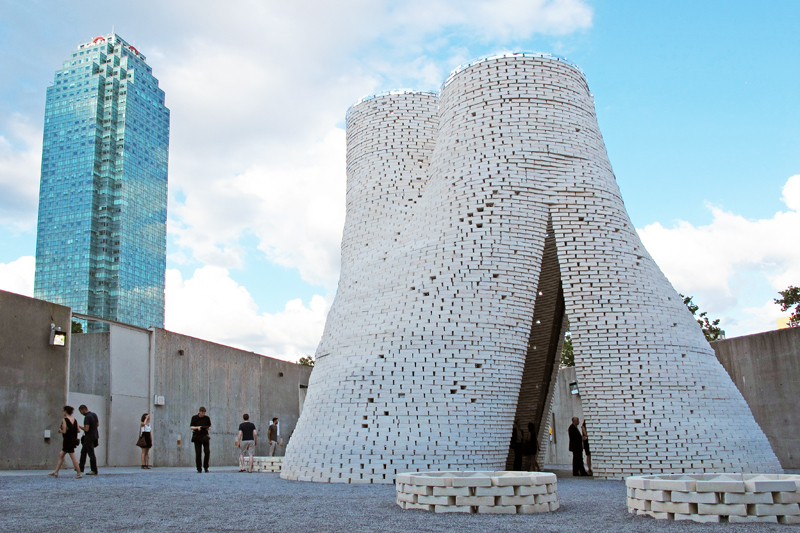 There’s a new tower in town, and for once it’s not made of steel and glass… After a month of construction, David Benjamin and his firm, The Living, have completed the world’s first large-scale structure made of mushroom bricks. 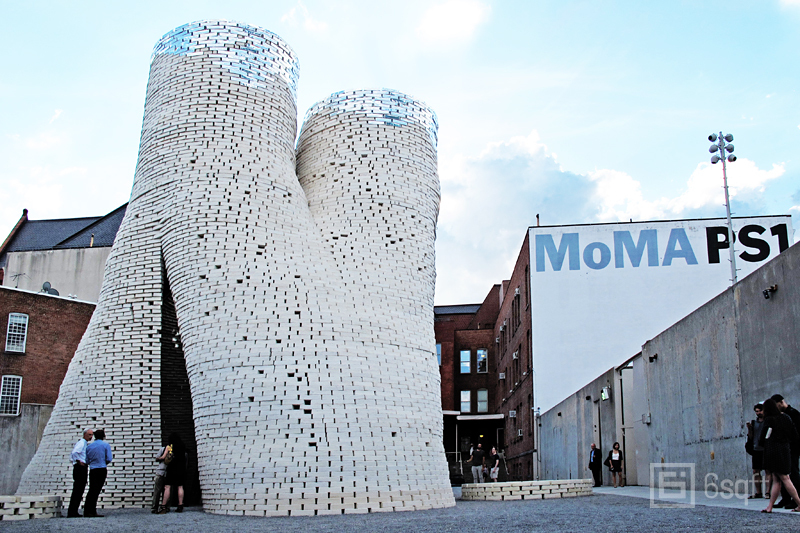 Better known as ‘Hy-Fi‘, the tower is the winning design of this year’s MoMA Young Architects Program, and like the works that preceded it, it’s an idea that asks us to rethink what we know about materials, fabrication and architecture in an urban context. 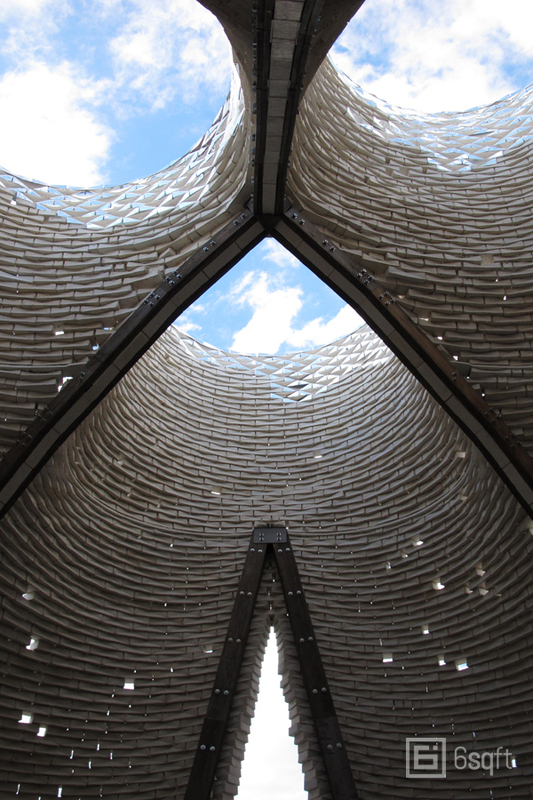 Hy-Fi is the first large-scale structure to ever use the mushroom brick technology developed by Ecovative. The bricks consist of a mix of farm waste and fungi, grown specifically over the course of 5 days to fit a brick-shaped mold. 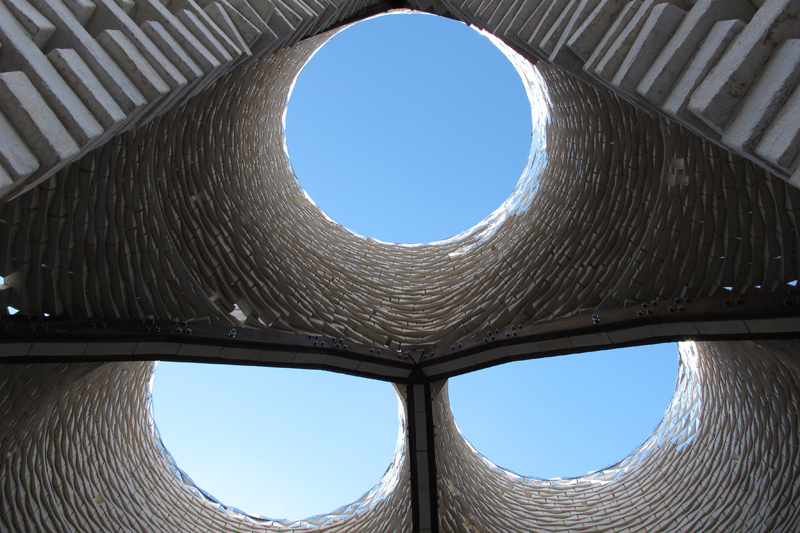 Here, the bricks are stacked into the shape of three merging tubes, and the unconventional yet ingenious form allows breezes to pass through the structure, pushing hot air up and out the top to provide for a cool interior. 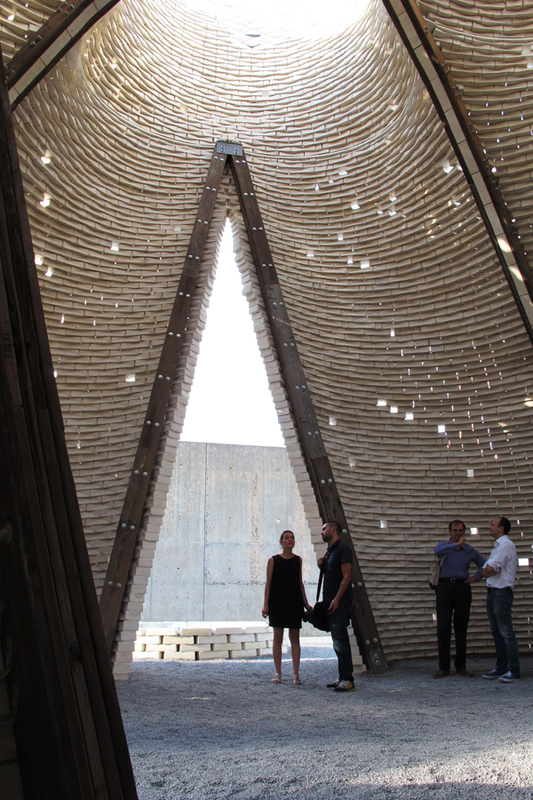 The top of the tower is crowned with bricks covered in a special light-refracting film invented by 3M. 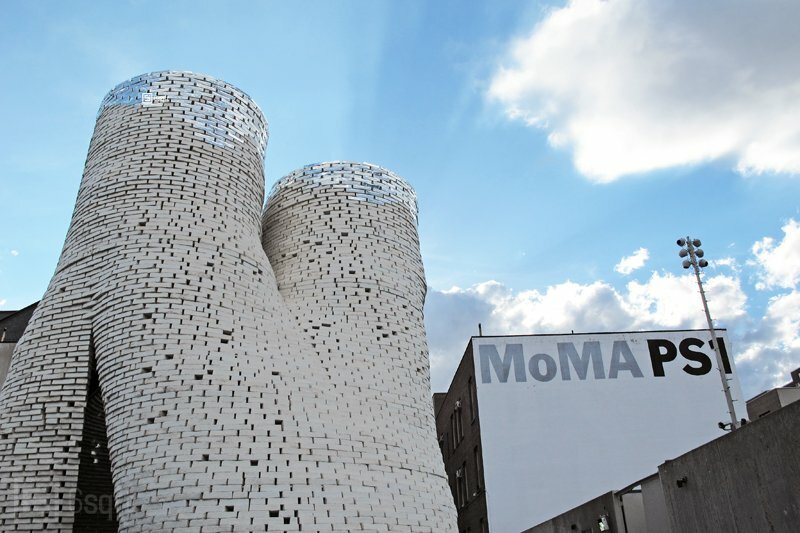 The towers took a month to construct and were built by the same team who fabricated the Kara Walker sphinx at the Domino factory. 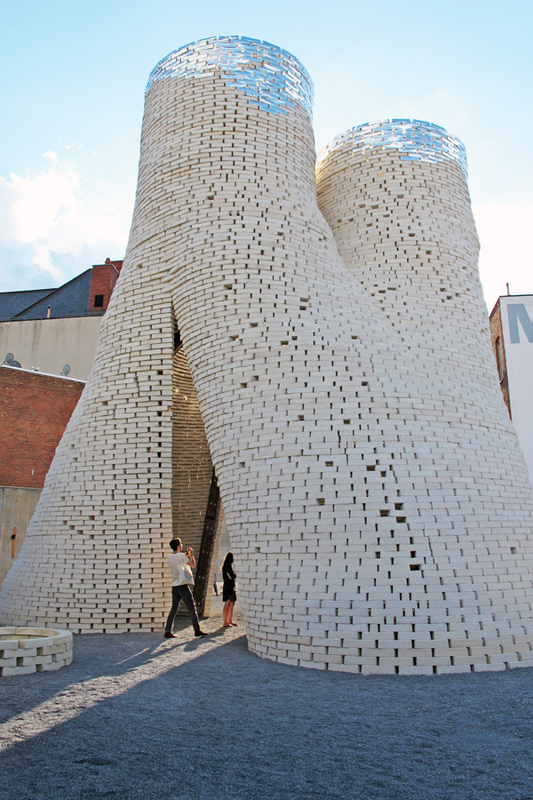 Hi-Fy will remain in the PS1 courtyard until September 7th, after which the whole thing will be composted. If you want to see it in person, just hop on a train to the museum — access to the courtyard is free to the public, and if you want to party in the tower, PS1’s Summer Warm Up series officially kicks off today.